Saudi Arabia football chiefs apologised Friday after the national team was accused of "a disgraceful lack of respect" for failing to observe a minute's silence in Australia in honour of victims of the London terror attack. Saudis refrained from respecting the moment of silence as it was "not in keeping with Saudi culture". Sydney: Saudi Arabia football chiefs apologised Friday after the national team was accused of "a disgraceful lack of respect" for failing to observe a minute's silence in Australia in honour of victims of the London terror attack. When the stadium announcer in Adelaide called for silence before their World Cup qualifier against the Socceroos on Thursday evening, the Australian team lined up at the centre circle with arms on their team-mates' shoulders. But most of the Saudis milled around and spread out to various parts of the field, with team officials claiming the tradition of stopping to honour the dead was "not in keeping with Saudi culture". It left fans and politicians in Australia fuming. Two Australians were among the eight killed last weekend when three Islamist extremists mowed down people on London Bridge before going on a stabbing spree. "The Saudi Arabian Football Federation deeply regrets and unreservedly apologises for any offence caused by the failure... to formally observe the one minute's silence," federation president Adil Ezzat said in a rare statement. "The players did not intend any disrespect to the memories of the victims or to cause upset to their families, friends or any individual affected by the atrocity." Asked about the Saudi team's attitude, Australian Prime Minister Malcolm Turnbull said "everybody, everyone should be united in condemnation of the terrorists and love and sympathy and respect for the victims and their families". Labor frontbencher Anthony Albanese called the snub "a disgraceful lack of respect for not just the two Australians who were killed... but also all of those victims of that terror attack in London". "There's no excuse here. This isn't about culture. This is about a lack of respect and I thought it was disgraceful." Senator Derryn Hinch was also outraged, saying: "It is an insult," while Twitter lit up with criticism. Twitter-user Frank Gardner posted "disgraceful and disrespectful", while Paul Jurdeczka said: "Minute silence not in Saudi culture. Except when it suits them. About showing respect. Which is human." Football Federation Australia said agreement had been sought from the Asian Football Confederation and the Saudi team to pause and remember those killed in the terror attack. 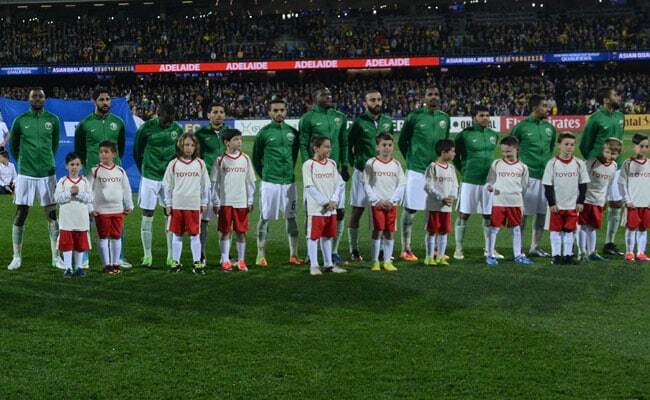 "Both the AFC and the Saudi team agreed that the minute of silence could be held," an FFA spokesman told AFP. The ISIS, which claimed the London killings, has also carried out deadly bombing and shooting attacks in Saudi Arabia against minority Shiites and members of the security forces. Saudi authorities routinely denounce "terrorist" attacks around the world but the kingdom has itself faced accusations of tolerating or even supporting extremists, in particular after the September 11, 2001 attacks on the United States. Australia won the match 3-2 to stay on track for next year's World Cup finals in Russia. The Australians joined Japan and Saudi Arabia at the top of Asia Group B and now face a huge game against Japan in Saitama on August 31.